The classic styled Authentic T-shirt Company ladies tee is the latest success to their line of custom apparel for printed team, sports and event wear. Plus it’s one of our lowest priced T-shirts! Gear up for the team baseball and slow pitch softball season with 3/4 sleeve t-shirts. These jerseys make it affordable for your team and we can add the numbers too. Moreno SS Polo: Advanced WEBTech™ 100 wicking fabric offers breathable moisture management. Classic flat knit collar with long, slimming two-button placket (women’s). Contrast ‘X’ shaped bartacks at slits and taping on inside of slits. 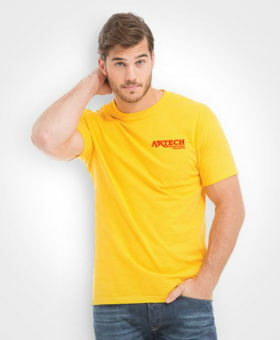 The Gildan Softstyle® Men’s T-Shirt is a perfect lightweight shirt suited to printed team, sports and event wear. If you’re looking for that extra feel to a custom printed t-shirt then this style of fabric has it. 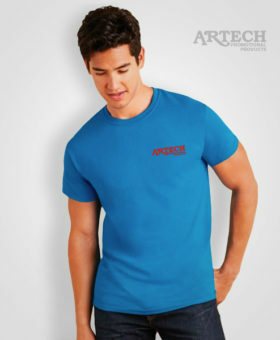 The Gildan Softstyle® Ladies’ T-Shirt is a perfect lightweight shirt suited to printed team, sports and event wear. If you’re looking for that extra feel to a custom printed t-shirt then this style of fabric has it.